Date – a social or romantic appointment or engagement. And what does it mean to date yourself, is that possible and why do we need that right now? Often Valentine’s Day can make you feel worse and remind you that you are single. But even if you aren’t single, it can make you feel lonely and to feel pressure. I am all about love and making others feel loved and appreciated. 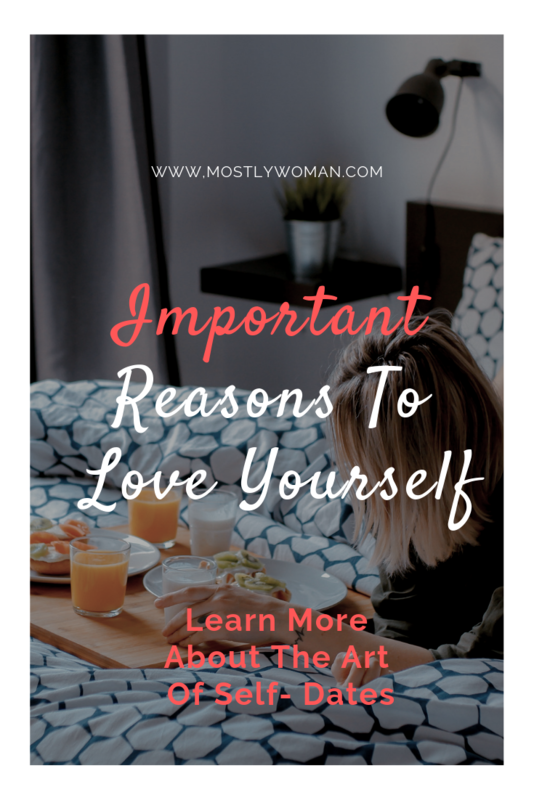 But I also want to highlight the importance of self-love and to share with you several ways to practice self-love. The idea for this post came to me after a meeting with a friend of mine that is never single. She is always in toxic relationships with “the wrong man”. When I asked her “why don’t you let yourself to be alone, single and just enjoy life,” she answered that she is just so afraid to be alone. I’ll be lost she said. At first, I couldn’t understand that. But, this is something common and there are a lot of other women that don’t want to be alone and jump from one to another relationship. Every single one of these women has a different and individual reason for this pattern. 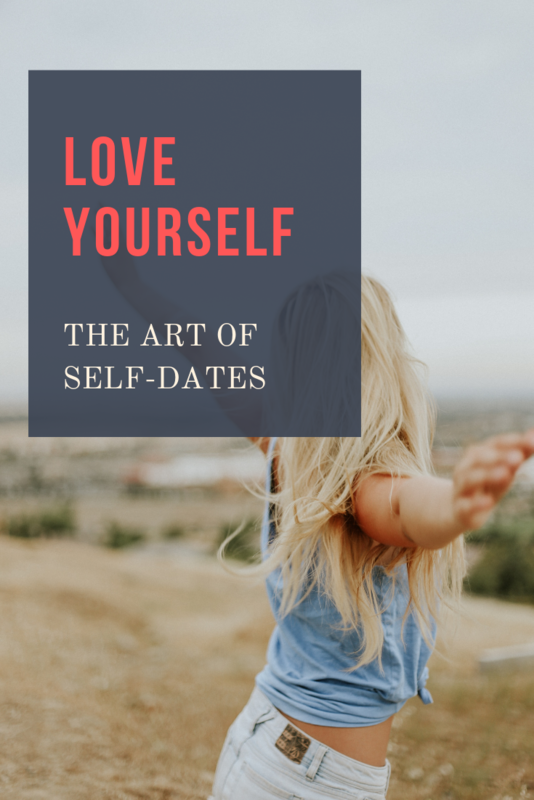 Find out some of the most important reasons to love yourself and the art of dating yourself. In my previous posts Why It’s So Hard To Love Yourself and Powerful Ways To Practice Self Love, I explained what is self-love and how to practice it so check it out if you want to know more. “Why is it that I want people to like and appreciate me, but when they do, I feel like I don’t deserve it?”. What would be the answer of this question? Low self-esteem, no self-love? This is something very common and I think that we should all educate on self-love more. Why Is So Important To Love Yourself? In order to stop the chain and finally live a happy and fulfilled life of your dreams, you must develop some habits and become aware of yourself, other people, and your surrounding. 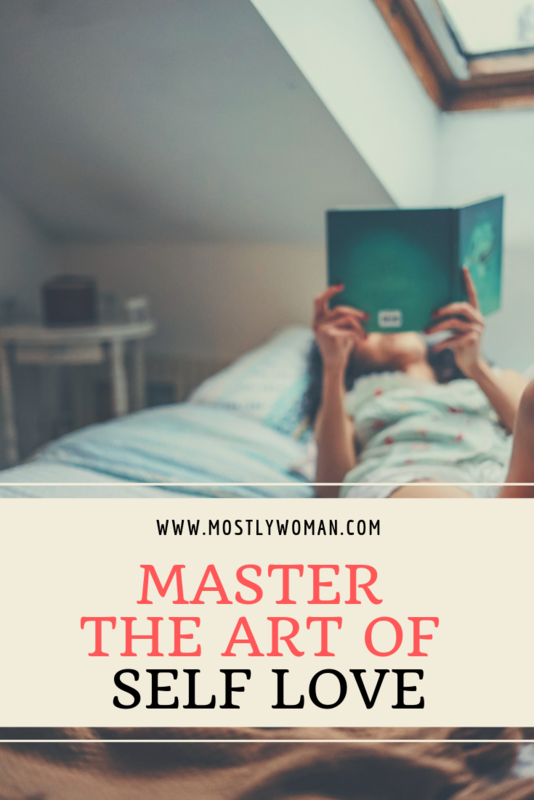 Instead of “sleeping” on Instagram and watching beautiful, smart and successful women, look at yourself and see what you can do to improve the quality of your life. Comparing to other people can be beneficial sometimes, but most of the time it is a really bad habit that you developed because of society. People that have been compared as children and teenagers, develop a habit to compare others and themselves through their lives. And spending 1 second of comparing is too much to waste. This is something the great psychologist Carl Gustav Jung said a long time ago. I have no idea why and where (I would have to check in my books) but that is not important now. The way I see this quote is that people tend to dream, imagine, compare, search everything in other people, but forget to seek inside and become aware of themselves. We all have qualities, good traits, talents, blessings, etc. But how could we see them when we never seek inside? Comparison puts the focus on the wrong person. What does she posses is not what matters. Who am I? Do you know all your qualities? I was surprised when I found out how courage I was, although my whole life I was comparing myself with my sisters (that are 5 and 10 years older than me) and in my eyes, I was a coward. The thing is, I couldn’t see that I am a very brave woman and I didn’t want to take risks and get out of my comfort zone for so long. I was also very surprised to found out that I am a great orator ( how could I found out this when I was comparing my whole life with so much older than me ). In order to look inside, you must first have a desire to do that. So I encourage you to start a journey that will not be easy, but It will be worthed. Stop comparing yourself for at least one month. Make a new habit. When you love yourself, you also develop a healthy self-esteem. Self-esteem is very important, especially if you are on a self-develop journey and want to live a happy life. Self-esteem is a trait that you must constantly develop because life is not a straight line. People with high and healthy level of self-esteem trust their own judgement, believe in their capabilities and are aware of their weaknesses. But they know how to defend themselves because they firmly believe in certain values. Also, people with high self-esteem consider them equal in dignity with others not inferior or superior. Don’t expect to be appreciated if you don’t love yourself first. Usually, people with low self-esteem are in a toxic relationship and very often victims (psychopaths target, etc). When you love yourself you accept who you are and forgive yourself. Forgiving yourself is not something easy but you will get there once you start loving yourself. Is there someone more important in this world than you? You are most important! You are worthy, you are smart, you are king, you are beautiful! When you experience forgiveness you will feel happiness and real freedom. You did what you know best at that time and at this moment you are not your mistake. A life without a purpose is empty. When you love yourself you aren’t afraid to ask for more and get more. When you love yourself you are not afraid to seek your passion and live the life of your dreams. Self-love will open your eyes and give you the courage to dream more. Ask and you will receive! How to find your passion and your purpose in life? You can’t love others if you first don’t love yourself. I bet you hear this all the time and deep down you know it’s true. Many people don’t understand that they are wonderful, they are precious, they deserve wealth, happiness and all the love in this world. That is why it is very important to learn and work on self – development, and self – growth constantly. When you start loving yourself, you open to receive, but also to give love. And this receiving and giving love is the best thing in the whole World. So prepare to love and be loved. And the most important reasons to love yourself is the last one. You become a better person when you start loving yourself. And who doesn’t want to be better? 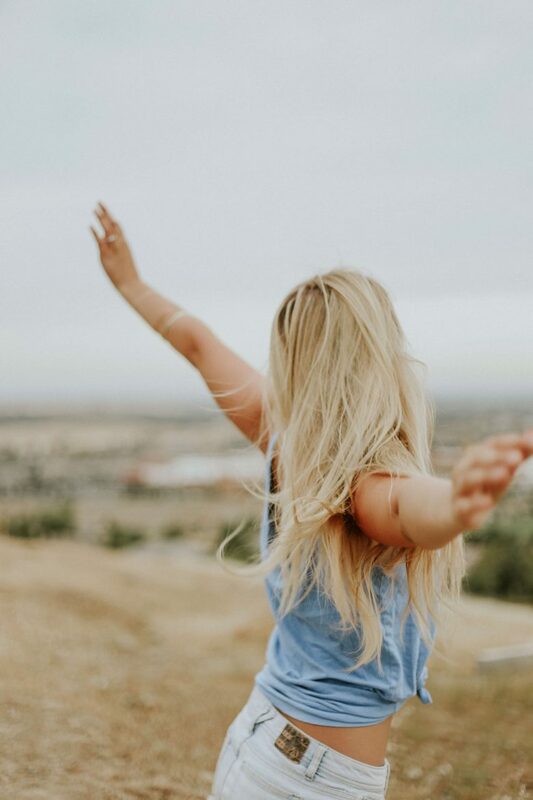 Self-development is a long journey and one of the most important things is developing self-love and self-esteem in order to be happy and live the life you deserve. Be creative and find more ways to show yourself some love. A person who love themself is usually happy and fulfilled. I really hope that people will stop misunderstand self-love with arrogance, egotism, and selfishness. You are not selfish for loving yourself! Who says that a date has to be with two people? You can always have a self-date and enjoy more than to go out on a date with the wrong person. Self-dates are really useful if you are single, but also in a relationship and marriage. People often forget to do beautiful things and buy beautiful presents for themselves. In order to practice self-love and to enjoy love, I picked several ideas that I personally find them interesting and relaxing. Be creative and make your own list of self-dates. These are some that I would love to do. Self-dates are very important to improve your self-esteem, to have greater life satisfaction and to improve your mental health in general. Use self-love as a foundation to live happier life and to achieve personal development. Tea or coffee – if you are like me, then you must enjoy a cup of coffee or herbal tea. I love to experiment with flavors and I always make tea while I work. Choose your best coffee shop, take one to go and sit in the park, or just stay at home and enjoy your favorite coffee. If you decide to stay at home, as I usually do, make sure you serve your tea or coffee in your favorite mug. This is the one I use, but I bet you already have one in your pantry. Book – books are my favorite way to show myself some love. As a teenager, I used to read novels, but now I tend to read more educational books, for personal development. I don’t want to waste time, and there is nothing more important than education and love. There are so many books I would recommend you and I just can’t pick one. At the moment I read one chapter before bed and that is usually at least 2 books monthly. The next book on my list is Becoming from Michele Obama. Sweet dessert – buy or make yourself a sweet, delicious dessert. You don’t need a company to enjoy a great dessert and just relax. Shopping – I love giving presents, but I also love receiving them. But why don’t you buy yourself a present? Something you really love and would make you feel better. Spend your money on yourself! Bath – take a bubble bath and enjoy! Pedicure and manicure – don’t forget to take care for your outer beauty. Have a little pumper routine at least twice a month. Exercise – great self-date. Go on one aerobic, fitness or dance class. Maybe you will start a new hobby. Why waste time on dates with the wrong people when you can invest in yourself? Picnic – I love nature and I think it’s a great idea to spend some time on the sun with yourself. Watch the sunset – and also you can watch the sunset. It is so romantic and relaxing. Meditate – find online lead meditations and spend some quality time. You will feel very relaxed afterward. Book a massage – or some beauty treatment of your choice. These are my ideas of a great date, but I am sure you already have an idea what to do. The most important thing is to always love yourself! I’m glad you mentioned this. I say this because I always see especially women bouncing from one relationship to another. My mom was like this. I didn’t realize it till later that women who are like that have a problem being alone. They always liked having other around and for a long time I was like this up until the point I got rid of my social media back in December. Being alone doesn’t scare me anymore. It’s more or less opening my eyes to the world. It’s causing me to be more curious and figure out what drives me. Like you said you learn things about you that you didn’t even know. There’s nothing wrong with being single, sometimes it’s better than being taken. We can’ put ourselves in the wrong relationship just because we don’t want to be alone. It doesn’t make sense. I personally think a lot of the inner turmoil goes away. Anxiety, sadness, fear. At some point it clicks in our heads, we shrug our shoulders and keep on pushing. So I really appreciate this post! Really helpful for those struggling.